A Northern Harrier sped down from the sky and slammed into the window of a local shop. The harrier may have been chasing after a smaller bird. A young man protected the harrier from the local cats as she hopped around in my back lane. The appropriate authorities were called, but they didn’t have the facilities or manpower for a bird. I took in the harrier, and she slept soundly through the night. The next day my girlfriend and I attempted to release the bird in a park. She couldn’t fly. We would have tried again the next day, but sadly the harrier died in her sleep. I buried the harrier in the forest. 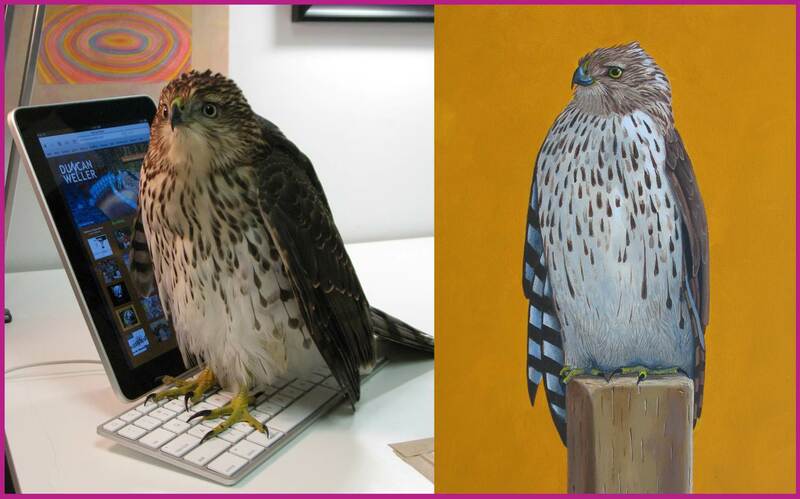 My painting of the harrier (right image) has been donated to a World Vision fundraiser. 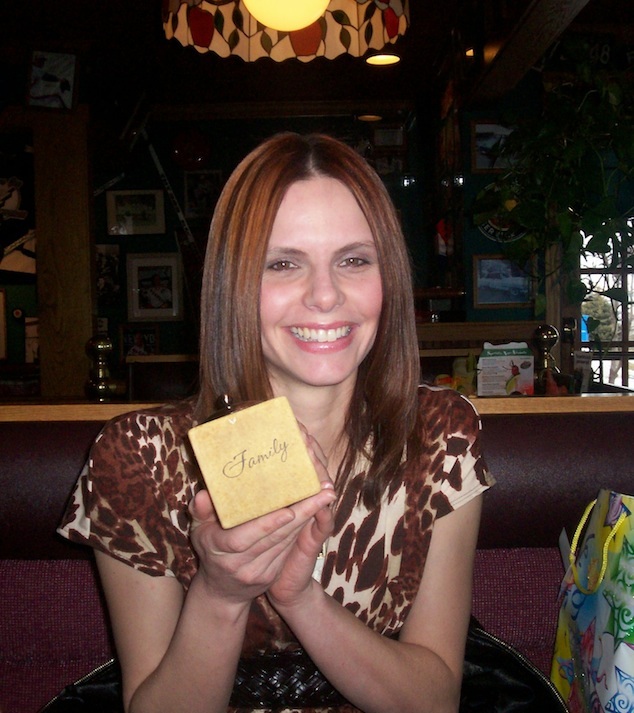 Below, the lovely Debbie Holseth, sends me a picture from a trip to Kelowna, B.C. ~ by Duncan Weller on October 11, 2011.